ZoomIn Offers - ZoomIn Home Decor Discount Sale with Coupon Codes - Zoomin has come up with exciting home decor sale this October 2015. ZoomIn offer valid till 13 October 2015. How to avail this Zoomin Offer? 2. Buy canvas prints at flat 20% discount. Zoomin Coupon code to be used - CANVAS20. 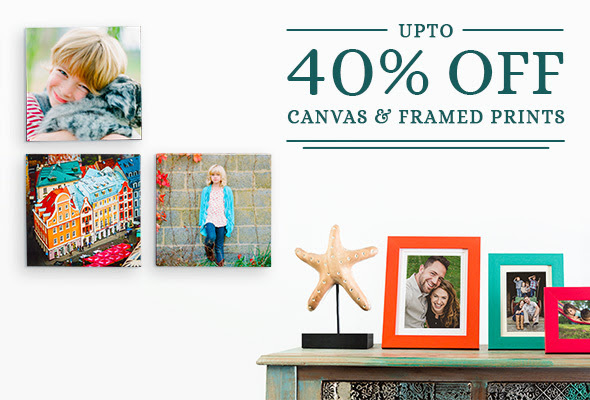 Buy framed prints at flat 40% discount. Use Zoomin coupon code - FRAMED40. 1. Zoomin offer is valid till 13 October 2015. 2. Canvas Offer is only valid online on Zoomin.com. 3. Framed print offer is valid online on Zoomin.com and ZoomIn App. Coupon code is not required on the ZoomIn App. 4. Offer cannot be combined with any other offer. 5. You can use the coupon codes unlimited time.